The good news last Thursday was that SpaceIL provided a live webcast from its mission control is the Israeli city of Yehud. Guests that included Israeli Prime Minister Benjamin Benjamin Netanyahu gathered to follow the landing. People would be able to see in real time what transpired with the historic landing attempt. The bad news, at least for most viewers tuning in from outside Israel, was that the proceedings were largely in Hebrew: understandable, given the primary audience for this event was the Israeli people — the purpose of the mission was to stimulate interest in science and engineering among Israeli students, rather than try to make money — but still a challenge for those not fluent in the language to figure out what was going on. Fortunately, many of the displays on the webcast, including those of the Beresheet lander's altitude and velocity, were in English, and there was a little English-language commentary as well. “We have passed the point of no return. We are in the landing process, ”Opher Doron, general manager of the space division of Israel Aerospace Industries (IAI), the manufacturer of the lander, said as the landing process began. All eyes were on the displays that showed the lander's altitude descending and its main engine firing. Initially, all appeared to be going as planned. “We are in the braking process. The braking process is working well, ”Doron said. "The spacecraft is doing exactly what it's supposed to do right now." Until something went wrong. The broadcast cut away from the telemetry to display a "selfie" task by the spacecraft as it descended to the surface, showing a part of the lander itself with the lunar surface in the background. Shortly after, controllers reported a problem with an inertial measurement unit (IMU) on the lander, and the telemetry froze for an hour. "We fix telemetry for a few moments, and now we've got telemetry back again," Doron said. That telemetry, though, showed the lander's vertical speed increasing as it descended, the box containing information on the screen changing color from green to yellow and then to red, suggesting that something was going wrong. Those in mission control watched nervously. "We seem to have a problem with our main engine," Doron said. "We are resetting the spacecraft to try to enable the engine." A moment later, he said, "We have the main engine back on." 49 meters, descending at a rate of 134 meters per second, far too fast for it to country safely. Fertility hadn't made it. “We had a failure of the spacecraft. We unfortunately have not managed to land successfully, ”Doron said a few minutes later. "It's a tremendous achievement, up to now." "It feels like we were back in Mojave, launching SpaceShipOne," Ansari said from mission control before the landing. "The smiles on everyone's faces are incredible." From its launch in February as a secondary payload on a Falcon 9, the story had experienced a few problems: and star trackers that had too much sunlight leaking into them. The mission, though, overcame those problems and successfully entered orbit a week before, making Israel the seventh country to do so (see "Science, Commerce, and the Moon", The Space Review, April 8, 2019). The cause of the failure remains under investigation. "Preliminary data supplied by the engineering teams of SpaceIL and Israel Aerospace Industries (IAI) suggests a technical glitch in one of Beresheet's components triggered by the chain of events" that caused the main engine to malfunction, SpaceIL said in a statement Friday. The problems started, SpaceIL stated, at an altitude of about 14 kilometers, which appeared to be around the point the IMU malfunction was reported. “Cause overcame the issue by restarting the engine. However, by that time, its velocity was too high to slow down and the landing could not be completed as planned. 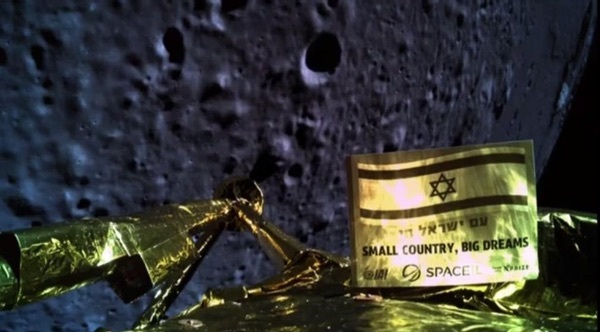 The landing brought to an end that was dated back to the early days of the Google Lunar X PRIZE to build a lunar lander that would capture the $ 20 million grand prize but also have an inspirational effect in Israel analogous to the Apollo program in America a half-century ago. With the technical support of IAI and funding largely from philanthropic sources, SpaceIL emerged as one of the frontrunners to win the prize, and continued its efforts even after the prize expired a year ago. After the failed landing, Ansari and X PRIZE Foundation chairman Peter Diamandis decided to give the award to SpaceIL anyway. "They have been touched by the Moon, and what we were looking for for our Moonshot Award," said Ansari in a short post-landing post. "And besides touching the surface of the Moon, they touched the lives of the entire nation, an entire world," Diamandis added. “It shows that these are not easy and, frankly, space is not easy. Not yet. " That will be an important lesson for others seeking to send commercial landers to the Moon in the years ahead, carrying payloads for NASA's Commercial Lunar Payload Services program or for other customers. "Every attempt to reach new milestones holds opportunities for us to learn, adjust, and progress," NASA administrator Jim Bridenstine said in a statement after the failed landing. "I have no doubt that Israel and SpaceIL will continue to explore and look forward to celebrating their future achievements." "We're going to put it on the moon and we're going to complete the mission," Kahn said in a letter video. SpaceIL was intended to be a one-time effort, although IAI said it's seeking commercial opportunities for land based based business. Future versions of the lander, IAI executives have said, could carry 30 to 60 kilograms of scientific payloads and incorporate improvements like precision landing technologies. SpaceIL, though, may get a second shot of its own. On Saturday, Morris Kahn, the billionaire chairman of SpaceIL who contributed more than $ 40 million to the $ 100 million project, announced in "Beresheet 2" lunar lander. "We're going to put it on the Moon and we're going to complete the mission," he said in a letter video. Details about how that will be developed, and funded, have not been disclosed. Some of the funding, though, could come directly from the Israeli government. Netanyahu suggested that might happen in remarks after the failed landing. "If at first you don't succeed, you try again," he said. 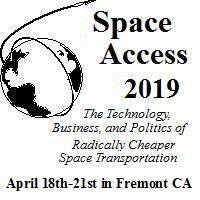 Jeff Foust (jeff@thespacereview.com) is the editor and publisher of The Space Review, and a senior staff writer with SpaceNews. He also operates the Spacetoday.net web site.